rade, commercial litigation and project finance. Mr. Forrukh Rahman has been ranked as one of the leading individual practitioners in the prestigious Chambers and Partners ASIA-PACIFIC for his achievements in the field of Corporate and Finance Laws of Bangladesh. 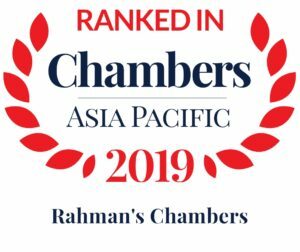 “Rahman’s Chambers has strong contentious capabilities, and has handled a number of insurance, fraud and international trade disputes. Barrister Mohammed Forrukh Rahman is the leading Practitioner. Mr. Forrukh Rahman’s article titled “Construction and Engineering Related disputes in Bangladesh” was published in the BIAC Quarterly Bulletin 2017. 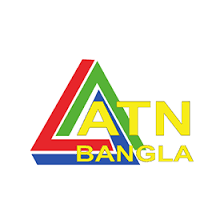 Mr. Forrukh Rahman’s article titled “Power Sector Related Arbitration in Bangladesh” was published in the BIAC’s 6th Anniversary Souvenir. Mr. Forrukh Rahman’s contribution has been recognized by the Bench-marking Public Procurement Project of World Bank as available in the world bank website. The Chief Guest, Hon’ble Mr. Justice AFM Abdur Rahman’s speech during the event held in Commemoration of World Fair Trade Day – 2015 has been published on UNCITRAL’S website. Please click here to access the full speech. 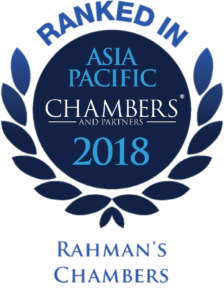 Rahman’s Chambers has been profiled by the reputed LEGAL500 series. To view the full Chambers profile, please click here. Mr. Forrukh Rahman’s article titled “Crisis time drafting of commercial contracts” was published in the Daily Star Newspaper. Please click here to view the article. The article has since then, been added in the Prestigious CISG Database of Pace Law School, NY. Please click here to view it. Mr. Forrukh Rahman’s article titled “Judicial Intervention in Administrative Action” was published in the Daily Star Newspaper in 2006. Mr. Forrukh Rahman’s article titled “Preventing money laundering What should be the mechanism?” was published in the Daily Star Newspaper in 2005. 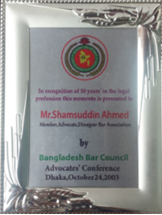 Mr. Shamsuddin Ahmed had been awarded with the Life Time Achievement award by the Bangladesh Bar Council for the completion of 50 years of practicing career in 2003.